This program is split evenly between Brackenhurst, an eco-campus in Limuru, Kenya, and a Conservancy in the famous Maasai Mara ecosystem. It aims to provide students with an understanding of the complex relationships between Kenya’s indigenous communities, land, water, and wildlife. Students will be presented with modern challenges and solutions that can help preserve some of the world’s most diverse ecosystems – from African forest to wetlands, to the savannah. As Kenya’s human population grows at an ever-increasing rate, improved land management, payments for ecosystems services, and control of human-wildlife conflict are all required to stem the loss of biodiversity and the habitats that sustain it. This program will provide students with an understanding of historical and current threats to biodiversity in East Africa, expose them to ecological regenerative practices, and equip them with field-based skills to observe and apply practical solutions to the needs of specific target groups. Optional: Coastal Marine module. This five-day module will run directly after the last portion of the Ecology course at an additional cost, exposing students to Kenya’s marine ecosystems. 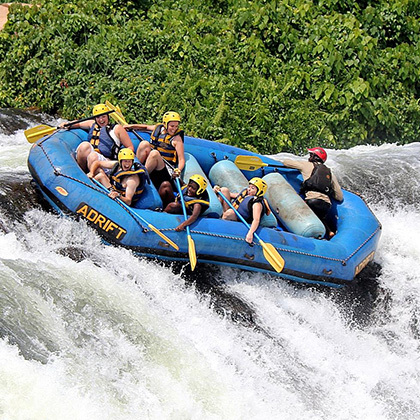 Students will be able to obtain a basic PADI certification, as well as visit remarkable coastal sites such as the Arabu-ko Sokoke Forest, the Gedi Ruins, and The Watumu Turtle Watch rehabilitation center. A background in environmental science, conservation biology, agro-ecology, horticulture, development studies, wildlife studies, or related subjects is ideal (entering 200 level and up). Participants need to be culturally-aware and open-minded to thrive in this program. All lectures and tutorials are conducted in English; hence a good command of the English language is essential. 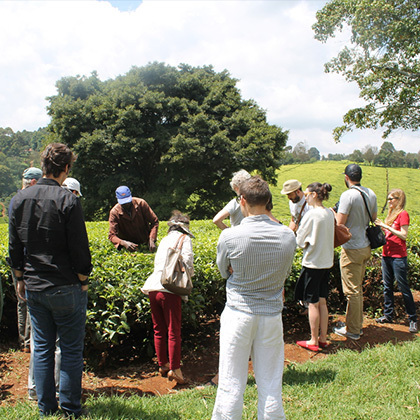 Brackenhurst is approximately 40km north of Nairobi set in a safe and peaceful environment among the rolling hills of Limuru, which is famous for its tea fields. 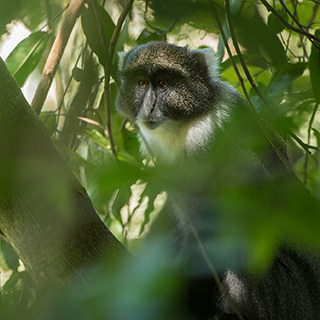 Brackenhurst is home to one of the largest collection of indigenous plants species in East Africa, with over 1,000 tree and shrub species, many of which are endangered or thought to be extinct within their original distribution zones. It’s also an ideal base from which students can explore the surrounding Kenyan wetlands. The Maasai Mara, part of the expansive Maasai Mara-Serengeti ecosystem, has 15 conservancies. These conservancies, the majority of which have been formed over the last 10 years, cover over 300 000 acres and provide connected critical wildlife habitats that complement national parks and the reserve; they also secure major wildlife migratory corridors. Their vast open plains, Acacia-Commiphora woodland, rocky outcrops, and varied riverine vegetation provide habitat for around 400 bird species and over 60 mammal species and host some of the highest wildlife densities in Africa. The conservancies are established under the rationale of conserving the environment and its wildlife alongside a mandate to protect, empower and improve the livelihood of the local Maasai communities. Over 10,000 landowners are engaged in the various conservancies and are direct beneficiaries; in this way, their communities are placed at the center of wildlife conservation. 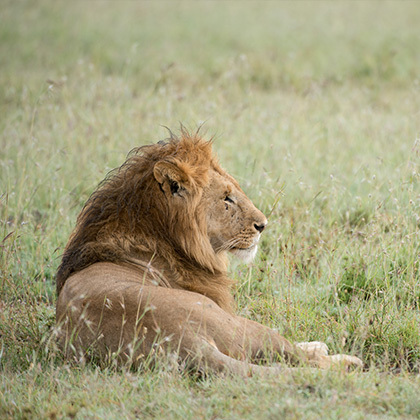 The Maasai Mara Conservancies provide an ideal location to study ecology, human influences on the Savannah, and community-based conservation in East Africa. The Watamu Marine National Park, where the optional coastal module will be based, runs through Watumu and is one of the oldest Marine Protected Areas in Africa. The Park spans over 10km² of shallow lagoon containing coral, seagrass, sand and mangrove habitat. It is home to over 150 species of hard and soft corals and over 500 species of reef fish, offering students access to spectacular marine biodiversity. The National Park is largely considered one of the world’s top diving areas, with whale sharks, manta rays, octopus and barracuda commonly sighted. It is also a vital turtle breeding area. Lincoln was born and brought up in central Kenya where he developed a passion for things of nature early in life. Pursuing this early passion seemed the obvious thing to do as he went ahead to graduate with a Bachelor of Science degree in Natural Resource Management from Egerton University, Kenya. 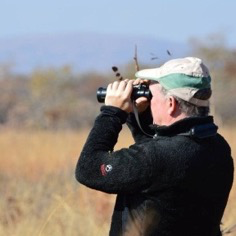 Stewart is a Professor of Biodiversity Conservation and has led the Spatial Ecology and Land-use Unit in Biological & Medical Sciences at Oxford Brookes for over 20 years. 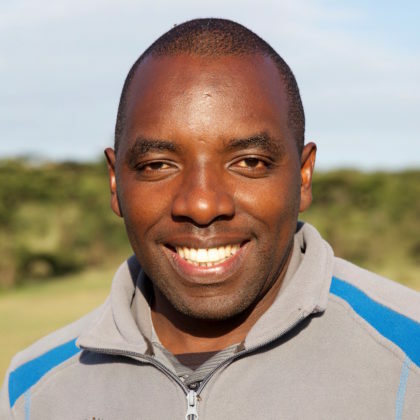 He has a particular interest in how threatened species use landscapes in response to policy and management initiatives. 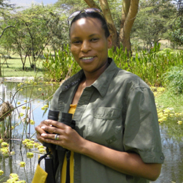 Sharon is now based in her home country, Kenya, but is on staff with Humboldt State University, California as a lecturer and research associate. Sharon specializes in wetland ecosystem functioning in natural and modified landscapes, as well as wetland wildlife use. Past research activities included evaluating impacts of urbanization on aquatic systems in developing countries, and investigating effects of climate and human activities on wetland ecosystem service delivery. Individual interests and extra-curricular activities determine how much extra each student needs to budget for their stay in Kenya. All meals and accommodation are covered in the room and board fee. Incidental expenses as well as any non-program related travel costs are the responsibility of each student. Optional activities in Nairobi National Park, Karura Forest, Gatamaiyu Forest, and Hell’s Gate National Park are also at the discretion of the student.